A long awaited second EP of original songs from Milton Keynes guitarist/singer Anna Hester, following up her four track release ‘In The Meantime’ from 2014. An entrancing live performer with just vocals and acoustic guitar; on these tracks her empathetic backing ensemble enhance her pure folk voice. 1. We Can Get Lost A mellow opener, the relaxed backing of the band is a foundation for a lyric celebrating the uplifting optimism of a promising new relationship. Anna’s vocal soars and floats along with some neat self-harmonies. 2. Have We Met A slow ballad, starting with the elegant line ‘…I found your tapestries there in my eyes…’ the listener is invited into a world of abstract melancholy, (creating a similar mood to ‘The Byrds’ on her previous EP, a song that when I first heard it I wrongly assumed it to be a folk standard, such was its timeless resonance). The lyric drifts towards disappointment and betrayal, with some clever musical nuances along the way. A sublime track, my favourite on the EP. 3. Watch The Clock The lead single from this collection, a highlight of her live set. On here Anna embraces an easy jazz/folk styling for a late night middle tempo song of questioning and hope. Combining the seventies instrumentation of ‘Solid Air’ era John Martyn and the lyrical yearning of Nick Drake this standout song is propelled by a loping, sensual double bass and echoing piano hauntingly moving in and out. 4. Towards Today A more conventional song structure with a catchy chorus line. The gentle vocal interweaves with sparkling acoustic guitar arpeggios and a cello counter melody. A subtle end to an EP of quality and richness. 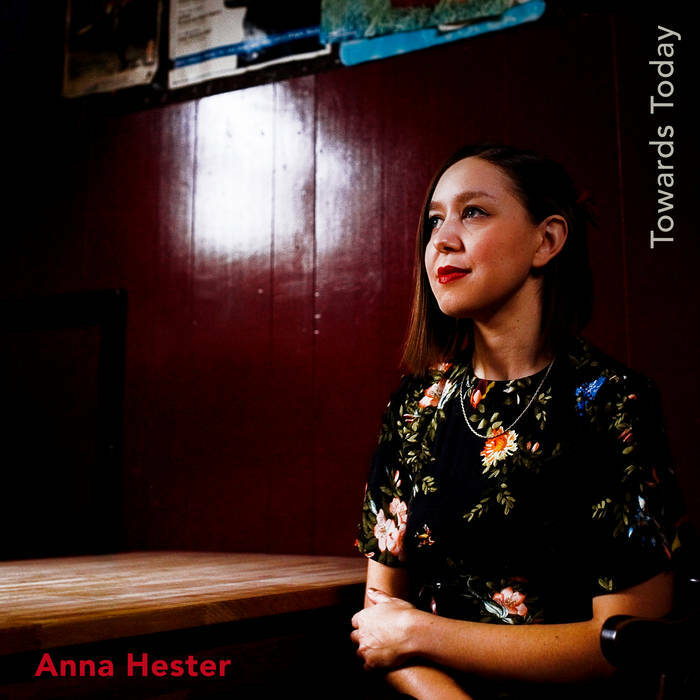 This entry was posted in Music and tagged acoustic, Anna Hester, EP, folk, Milton Keynes, review, Towards Today on November 20, 2018 by iknoweno.